When you do not already know about Mrs Martineau, do read one of the many Wikipedia articles, she is considered to be the first female sociologist and introduced many subjects into sociology that were up to that time not considered. The picture is a crop of a painting at the National Portrait Gallery by Richard Evans. The picture is known at Wikidata, at Commons the Creator template is missing. At the Biodiversity Heritage Library Mrs Martineau was know for her book a complete guide to the English lakes. It was the only book known for her at Open Library. Given the relevance of Mrs Martineau this was strange and sure enough she was known as "Martineau, Harriet" and changing the link to the book was easily done. At Wikidata meanwhile, there was a hidden link to Mrs Martineau to Open Library thanks to all the good work of the Freebase volunteers. Approving the change was obvious. At Wikidata there is now a link to both VIAF, to the BHL, to OL for Mrs Martineau and to over 20 more sources. The BHL has links to both Open Library and VIAF. 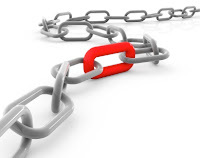 When the links differ, it becomes obvious where work needs to be done. The result is a better service for all the people who make use of any or all of these resources. We truly should collaborate and strengthen our partners, the partners we share data with.